Earlier it is reported that the draft Memorandum of Procedure (MoP), prepared by the Government, in response to the direction of the Supreme Court’s Constitution bench in the NJAC matter, has some controversial clauses relating to rejection of the recommendations sent by the collegium. 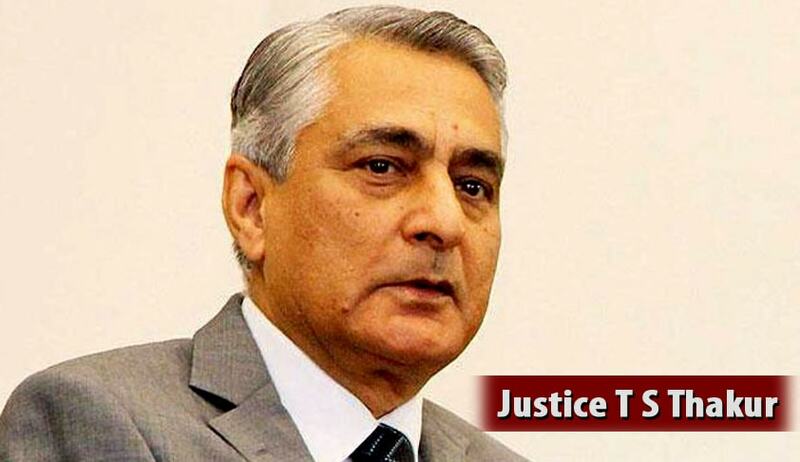 It is also reported that a clause in the draft MoP which has been sent to the CJI– provides primacy to the Centre in rejecting any recommendation of the collegium without ascribing reasons, on the grounds of national security. It is further reported that the draft MoP does not enable reconsideration of a rejection by the Government, even if the collegium reiterates its recommendation. According to the existing practice, a reiterated recommendation, if submitted by the collegium without any dissent, is binding on the Government. “Other clauses which were contentious, were a clause which made it mandatory for the apex court to share any dissenting note made by a member of collegium against any candidate with the government. The CJI and the companion of judges also did not accept the government suggestion to allow the AG to suggest names to be appointed as judges for the Supreme Court and State Advocate-General to suggest names to be appointed as High Court judge. Another suggestion in the revised MoP which did not find favour, is the one which says that always there must be a minimum of three members from the bar in the bench at any given point of time. Sources said this clause cannot be mandatory as some times the representation could well go beyond three”. The draft MoP also envisages a three-member secretariat comprising two retired Judges and one eminent person for the Supreme Court and for each high court. The secretariat is likely to screen the list of candidates to be brought before the collegium. This is also not in line with the Supreme Court’s two judgments in the NJAC case, as the Court wanted a role for the secretariat for only collecting data about the proposed appointees, and not to prepare a shortlist for the collegium, as the court did not want to dilute the collegium’s power in this regard. In the NJAC-II judgment, the Supreme Court asked the Government to revise the current MoP, drafted in 1999, in the light of factors, namely, eligibility criteria, transparency, Secretariat, and mechanism for dealing with complaints against proposed appointees. A notice for vacancies of judges should be put up on the website of the High Courts at the beginning of the year for appointments. A permanent secretariat for the High Court Collegium to process appointments.